Why would I need self storage in Laurel, MD? There are a variety of reasons why you might need self-storage in Laurel, MD. How much is a storage unit in Laurel, MD? The cheapest storage unit in Laurel, MD is $21.00 per month. What size storage units do you have available in Laurel, MD? In Laurel, MD we have sizes that range from 3'x3' to 10'x30' to suit your storage needs. How much is it for a 3'x3' storage unit in Laurel, MD? The cheapest 3'x3' storage unit in Laurel, MD is $21.00 per month. Laurel is a midsize city in Maryland's Prince George's County. Its diverse economy, family-friendly recreational opportunities and convenient amenities are major draws for new residents. The town, which lies 10 miles northwest of Bowie and 20 miles northeast of Washington, D.C., was originally formed by using land from the Patuxent River's fall zone. Richard Snowden was the first European settler to arrive in Laurel in 1658, and his descendants still own land around Laurel today. One of the community's first significant developments was the construction of a cotton mill in 1824. Spearheaded by Nicholas Snowden, this mill expanded in 1835 with the establishment of the Patuxent Cotton Manufacturing Co. The town was largely focused around its mill, with most of its residential developments housing mill workers and a school filled with the children of mill families. Because of this strong industrial sector, the community was originally named Laurel Factory. However, the name was shortened to Laurel in 1875, five years after the city was officially incorporated. Laurel's diverse economy and positive job growth make it appealing to businesses and a good place to be on the hunt for a job. The city boasts a mix of white-collar and blue-collar businesses, with a variety of jobs in office and administrative support, management and sales. New industries such as information technology, telecommunications and biotechnology are driving Maryland's economy, and Laurel plays an important part in this development. Laurel's Applied Physics Laboratory and Maryland University of Integrative Health are well-respected throughout the United States for their contributions to the field. Major educational institutes, like Capitol Technology University, and others nearby, have made Laurel one of the most educated cities in the United States, according to "The Baltimore Sun." This educated workforce is another attractive feature that draws many businesses to the area. Prince George's County Public Schools oversees the schools of Laurel. There are many private schools in the city, most of which are faith-based. Higher education is easily accessible in Laurel thanks to several conveniently-located campuses in the area. The Laurel College Center hosts Howard Community College and Prince George's Community College. Utilities: The Washington Suburban Sanitary Commission oversees water and sewer services for Laurel and its neighboring communities. Major energy providers in the area include BG&E, Spark Energy and PEPCO. Garbage and Recycling: Trash and recyclables are collected curbside for most residential communities in Laurel. Transportation: The Metrobus, the RTA bus and the MARC commuter rail system all provide public transportation options in Laurel, making it extremely convenient to get around the city. Laurel has a wide variety of homes to suit singles, couples and families of all tastes and budgets. New homes are regularly constructed throughout the city, or you can explore the Victorian properties in the Laurel Historic District for something with old-world charm. Although prices in Laurel are higher than the national average, they are quite a bit lower than the Washington, D.C., metro area. Our lowest priced units in Laurel, MD average $39.60 per month. 202 people have reserved units in Laurel, MD in the past 30 days. 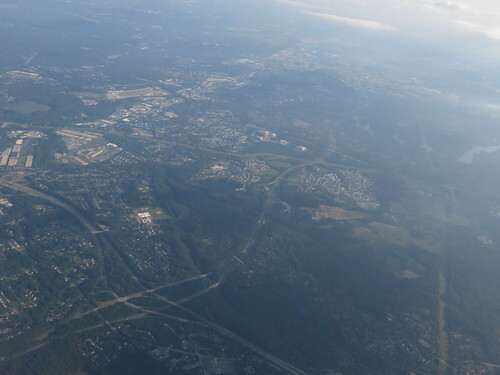 There are 5 locations within Laurel, MD's city limits. There are 2 locations in Laurel, MD that offer AC and Heating features.